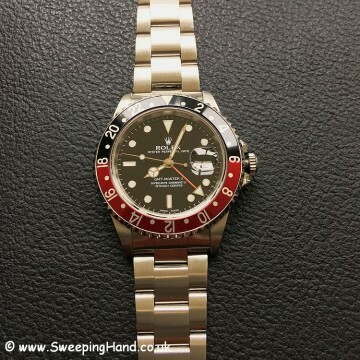 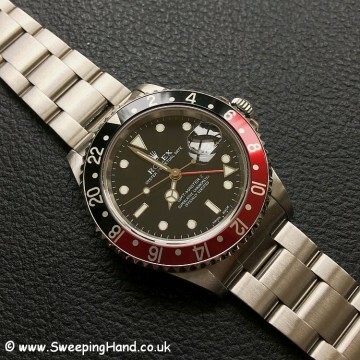 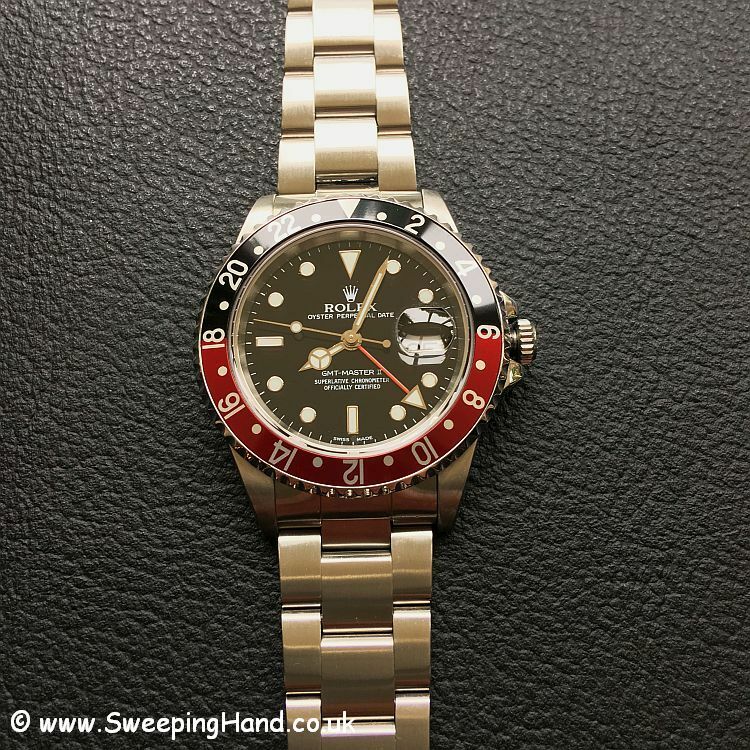 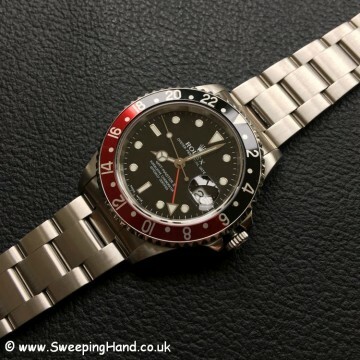 Here we have a stunning UK issued Rolex GMT Master II 16710 ‘Coke’ Collector Set. 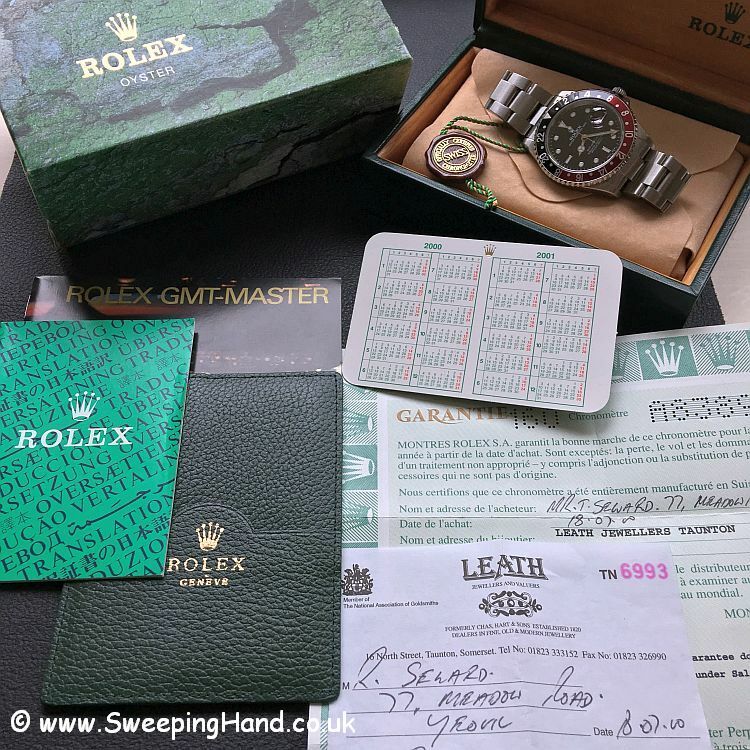 In superb condition this watch comes with everything from new including the original purchase receipt!! 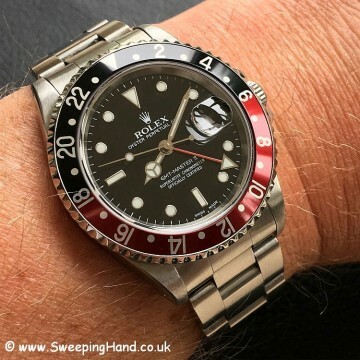 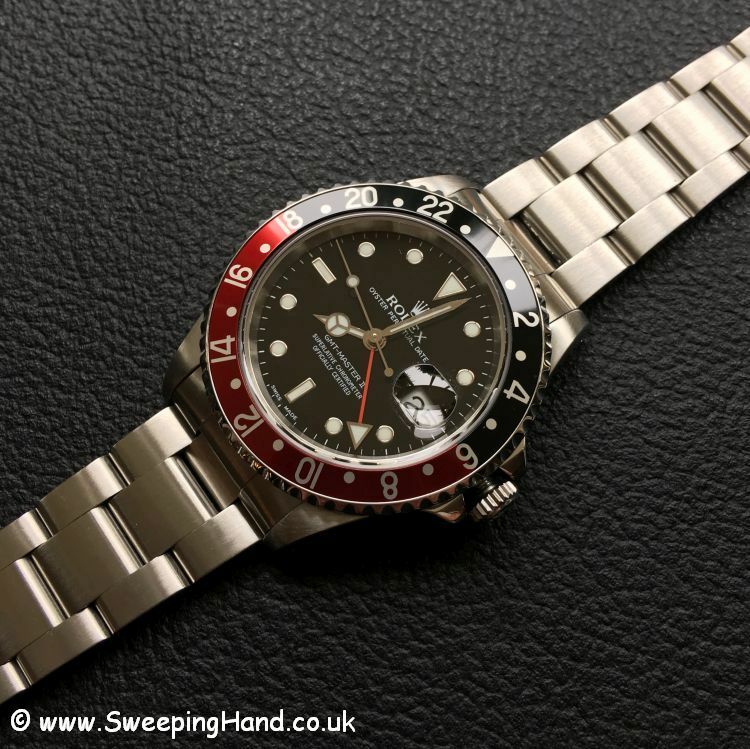 A true collectors watch in top condition, this watch ticks all the boxes for anyone wanting a Rolex GMT Master 2; and with the GMT still being hot property and the watch of the moment, prices continue to rise strongly on all variants. 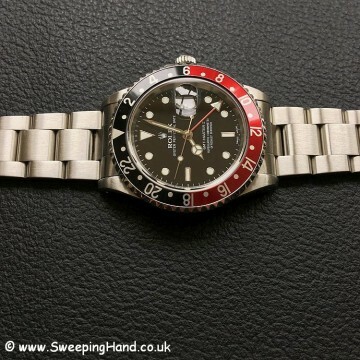 The watch was serviced in 2013 and is keeping excellent time.